If you’re feeling run down, lacking in energy, depressed or unhealthy, it’s possible that your chakras are out of alignment. Maintaining a healthy body and mind that are perfectly in balance with one another is a difficult, near-impossible endeavor. This process, called homeostasis, can provide the means by which we achieve harmony between all the different chemicals, hormones, microorganisms and more. The further we move away from this harmonized state of being, the greater our chances of both physical and mental illness are. Balancing your chakras provides an age-old mechanism with which you can return your body and consciousness back to homeostasis, and keep it that way. Simply put, your chakras are the locations at which your spirit and physical body meet. Thought to have been officially standardized under eighth-century Buddhist Tantra teachings, ancient custom dictates that there are seven primary meeting points between the subtle (non-physical) energy channels of the body. These channels, known as “nadi,” are believed to be the channels in the subtle body through which your life force moves. Located at the base of the spine, this is otherwise known as Muladhara, the earth chakra. Your root chakra is red in color. It is associated with feelings of safety and security. Located below the belly button in the upper pelvic region, this chakra is known through ancient custom as Svadisthana. It’s orange in color. It is considered the water chakra (you’d think it’d be blue). It is associated with pleasure, acceptance and creativeness. Located at the point where your ribs meet your abdomen, just above the naval, this chakra is known as Manipura, the fire chakra. Manipura is believed to be responsible for your digestion and diaphragmatic functions. It is associated with feelings of control and self-worth. Located, funnily enough, at the center of your chest, this is known as Anahata, the air chakra. Anahata is green. It is associated with feelings of love and inner peace. Blue in color, this chakra is known as Visuddha, the ether chakra. Responsible for your taste, speech and eating abilities, Visuddha’s purpose is to enable both inward and outward communication. Located between your eyes, this chakra, otherwise known as Ajna, is that of the light. Indigo in color, Ajna enables physical sight and internal decision making. Thought to be either located at the top of the head or just above it, Sahasrara is the violet chakra, representing cosmic energy. Your crown chakra is responsible for maintaining mental peace and connectedness. If this is all seeming a bit too hocus pocus for your taste, simply think of chakras as energy bands. The universe is energy — it’s a scientific fact. Therefore, it stands to reason that our own bodies are governed by certain energy wavelengths. A convenient way to enable understanding of these energy bands is through the system of chakras. There. Feeling better about the subject now? Whether you like it or not, your body and mind are heavily influenced by your own energy and the energy of others. Those energy fields, conveniently compartmentalized into distinct chakras, dictate whether you feel vibrant and full of life or lethargic and down in the dumps. Aligning your chakras so that they’re perfectly balanced and in tune with each other helps to get you feeling energized and whole once more. Here’s a number of reasons why you need to align your chakras. Misaligned chakras are said to cause many issues, like digestive distress. Together, your chakras represent your entire self: physical, spiritual and emotional. For this reason, they provide the means by which you can achieve overall balance in your life — that evasive homeostasis I discussed earlier. By devoting a little bit of time to actively visualizing and supporting each of your chakras, you help to improve each area of yourself. By taking a few minutes every day to focus your awareness on each of the seven chakras, you will subtly but surely promote the attributes it represents. This sounds like an inconsequential benefit, but it’s actually kind of a big deal! By developing an awareness of your chakras, you unlock the potential to become adept at self-diagnosing. Not in the sense that a doctor diagnoses you by asking what symptoms are (“cough now”) then prescribing some form of nasty medication, but in the sense that you can ascertain where you’re feeling weak or ill and focus your energy on that region to reattain homeostasis. Essentially, by looking for ebbs and flows in your chakras, you can pinpoint elusive problems in your health and resolve them… without knocking back vast quantities of drugs. Chances are, if you haven’t been living under a rock for the past couple of decades, you’ve heard of yoga. Yoga, as it happens, draws much of its mantra from the chakra system. In fact, many modern forms of meditation derive much of their essence from this understanding of energy flow between the major chakras. All acknowledge, in some way or form, that your consciousness is spread across all seven chakras, and that aligning them all brings a state of harmony and well-being. In this sense, aligning your chakras is like being in a state of meditation all the time, allowing you to achieve effortless calm and support a life rich in beauty and happiness. Find a quiet spot to align your chakras. 1. Lie down in a comfortable spot away from the hustle and bustle of life. This might be your bedroom or a quiet spot on the grass under the trees — whatever it takes to minimize disturbance from discomfort and the stresses of life. 2. 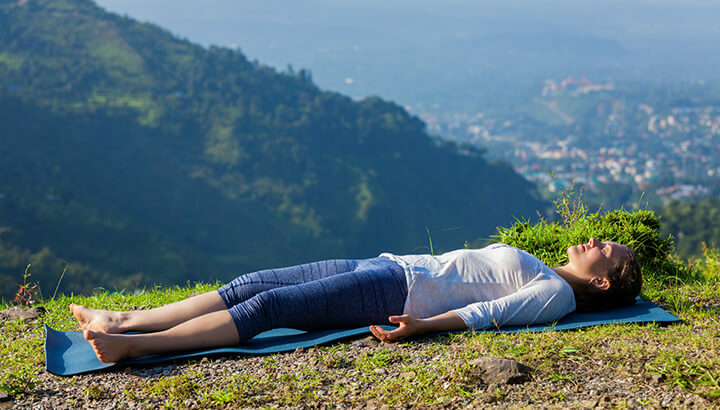 Take a few minutes to just lie there and breathe deeply, clearing your mind of all that everyday fuzz and becoming centered with your body. 3. Now set an intention for balancing and aligning your chakras. Apparently, the energy listens to your intentions, so this actually makes a lot of sense! 4. Place one of your hands on your first chakra (the one at the base of your spine), and another hand on your second chakra (your sacral chakra, just below your belly button). You can physically rest your hands on these areas, or allow them to hover a few inches above the body — it’s your choice. 5. Keep your hands in this position until you feel the energy between the two chakras equalize. This may be a pulsating feeling, or simply a feeling that it’s time to move onto the next chakras. If you don’t feel anything conclusive, don’t worry — simply move on after a minute or two. 6. Move your hands to your second and third chakras, and repeat this process all the way up to the seventh chakra. After you’ve balanced all the chakras, take a few minutes to simply lie there and soak in the feeling of wholeness. Make a point of doing this every day and you’ll not only kick stress right in the unmentionables, but you’ll become much more in tune with your own body. Goodbye, doctor. Hello, chakras! Have you tried balancing your chakras? Tell us about your experience! Previous articleDid A Physicist Just Disprove Ghosts? 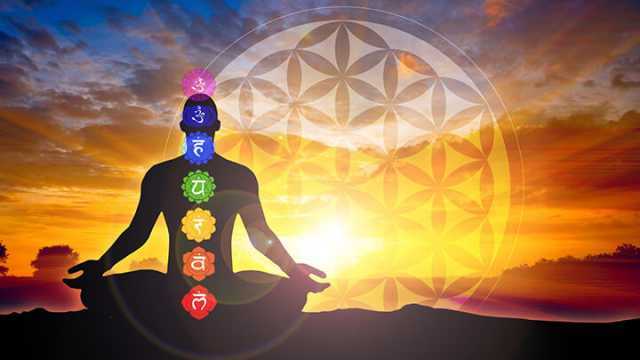 Hey Buddy!, I found this information for you: "5 Signs You Need To Align Your Chakras ASAP". Here is the website link: https://www.thealternativedaily.com/reasons-to-align-your-chakras/. Thank you.